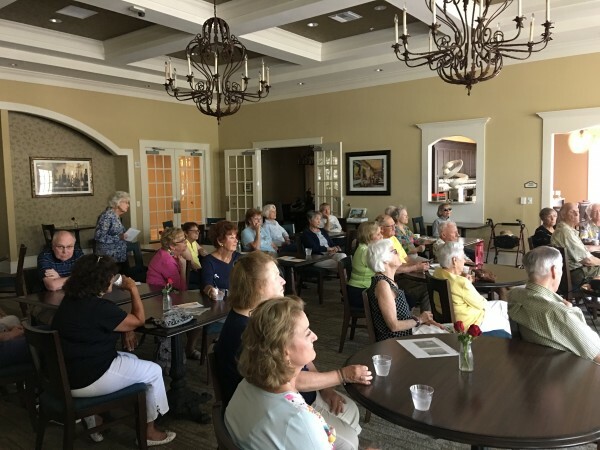 On Thursday, some of Naples’ avid readers and history-buffs gathered at Sandalwood Village, Naples newest independent senior living community to welcome José Ramirez, a well-known Cuban author who shared his fascinating story of exile, hope, perseverance and reflection. Ramirez’s memoir, Defining Moments: A Cuban Exile’s Story About Discovery And The Search For A Better Future, which is available on Amazon.com with a nearly perfect customer review, dives deep into Ramirez’s fascinating childhood; escaping Cuba’s oppressive government at 15 years old, without his family, and his relentless pursuit for a better life and a quality education. Listeners were enthralled by Ramirez’s descriptive tales of the four long years the young Cuban spent in the United States, relying on himself and his morals as he floated through refugee camps, transition houses and foster homes as a member of the Pedro Pan Program, before being reunited with his family. The author capped off the lecture with details of his emotional return to his beloved homeland, 33 years later, and reflected on what has changed and what has remained the same. 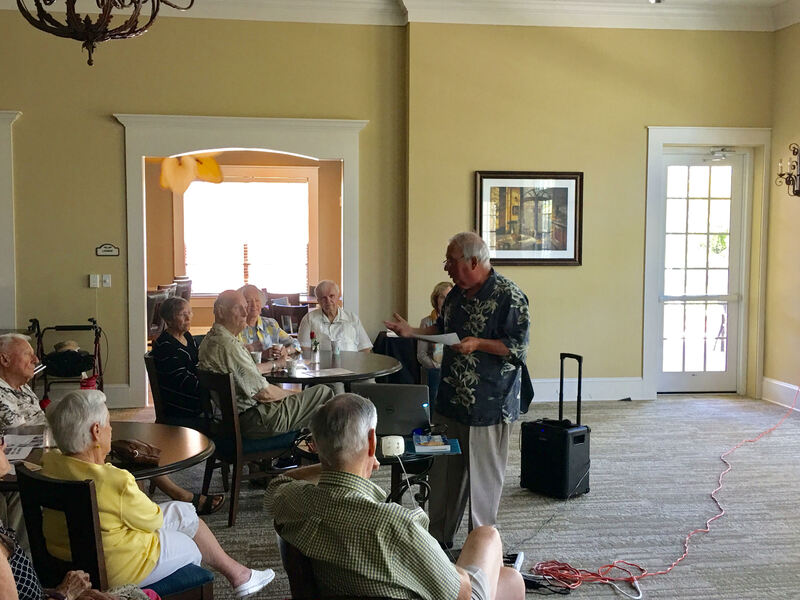 Ramirez, who now lives in Naples, Florida with his wife, mingled with guests for a few hours following the captivating lecture; he also answered questions and signed books which were available for purchase. Sandalwood Village, a high-end, active and independent community for adults 55+, provides these special events to residents and the public thanks to their award-winning SUN Program, a seven-prong model that offers residents a variety of services and activities including: Health and wellness classes, finance, legal and administrative assistance, education and lifelong learning seminars, fun and recreation, convenience and economic resources, community and friendship, safety and security.